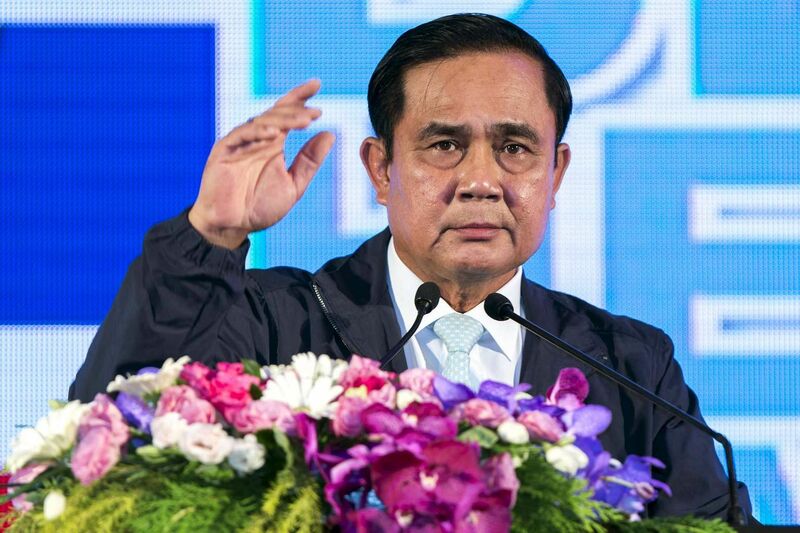 Premier Prayut Chan-o-cha isn't saying whether he will reshuffle the Cabinet, despite growing indications that he is under pressure to produce a new line-up that can better enhance public confidence. "I am not a knight on a white horse," he declared last week at a seminar on Thailand's competitiveness. "It's more like I'm [RIDING]a crippled horse." If the premier has stepped up his self-deprecating humour lately, it's because the burden of intractable problems piling up on his shoulders means he would likely be the first to admit he doesn't enjoy being up there anymore. "You have to look at what the situation was before I came in. There are many problems that can't be resolved overnight, because they are both political and legal. There are still problems with spending the budget. There are times when even if I issue an order, it doesn't necessarily mean action can be taken immediately," he admitted. Then, as if in a sudden moment of enlightenment, he confessed: "Don't think that [absolute power] under Article 44 can address every problem." And right in the wake of this depressing situation, the premier has been slapped with speculation that he is considering replacing the economic ministers in the Cabinet - and perhaps also the agriculture minister, allegedly because he failed to prevent the unprecedented drought that has hit the farming sector hard. Not only that, but urban residents have been showing signs of panic after problems with their tap-water culminated in a cut to supplies in the suburbs of Pathum Thani province. The premier's response to the reshuffle rumours has been understandably obscure. One day he said they were just the fruit of over-imaginative journalists. Then he said that he had something up his sleeve but would only discuss it at the appropriate time. There is, however, little doubt that the suggestion that a new team of economic affairs ministers is needed in order to regain public confidence must have been raised by the premier's advisers as well as outside observers. In politics, sometimes it doesn't matter what brought about an economic decline. What matters is finding someone to blame and bringing in fresh faces that can provide a new lease of life for the government. Instead of confirming or denying the reports, the premier chose to side-step the issue by resorting to his role of "grumpy old man". He complained to reporters: "Cabinet members have been working so hard that they are all ready to quit." Has that got anything to do with another rumour that a "national reconciliation government" is in the works - and that retiring Army chief General Udomdej Sitabutr is being tipped to take over as the "neutral prime minister" of this "grand coalition?" These separate speculations from different quarters aren't necessarily related in any way. Again, in Thai politics rumour-mongers rarely consider it necessary to justify the rationale behind their stories, however wild or even downright impossible they might be. General Udomdej wasted no time in shooting down the "reconciliation government" rumour, calling it too far-fetched to deserve a serious response. Prayut didn't bother to respond at all. He was too busy trying to explain that rumours his brother General Preecha Chan-o-cha would succeed General Udomdej had nothing to do with him being the prime minister. Does that mean a Cabinet reshuffle is out of the question? No. The speculation didn't surface out of nowhere. The fact that Deputy Premier Pridiyathorn Devakul has stepped up his public appearances to insist that the country's economic situation is still under control indicates his supporters are pushing him forward to pre-empt a move to replace him. Somkid Jatusripitak, one of the premier's top advisers, has vigorously avoided the press. That's another indication pointing in the same direction. Prasarn Trairatvorakul, who is due to retire as central bank governor, has been mentioned as a possible candidate for a "prominent role" in the new set-up. Perhaps, when people speculate about a "grand coalition" they are talking about the "economic team" - and not the entire Cabinet. Not all rumours are true, of course - though some are designed as nothing more than trial balloons. But believe me, a good percentage of them will turn out to be incredibly accurate. 2. Are you still watching TV? It is now pretty common in Seoul to see couples sitting in Starbucks, tapping away on their own smartphones. They talk with each other, yet their eyes are often fixed on their handsets, not their loved ones. The ubiquitous presence of smartphones in everyday life is reconfiguring the way people interact in both public and private places. Of course, the advent of desktop and laptop computers also dealt a number of changes to the pattern of life, but not so thoroughly and drastically as that of smartphones, with their wealth of apps and instant connectivity to the Internet. Naturally (or bewilderingly), the rules of the game are changing in the media industry. It used to be a simple competition: Broadcasters and print media fought to provide better and more popular content to viewers and readers without worrying about the distribution channels through which their content was delivered. After all, Korean broadcasters and print media had long maintained a firm grip on their delivery channels in a way that fended off new entrants and potential competitors fairly successfully. Such happy days are almost if not already gone. Smartphones are destroying the media value channels. The number of people watching TV regularly at home in their living rooms is plunging, for instance. People do not read print newspapers on the subway while commuting to school or work. In both cases, the culprit in the eyes of media is the smartphone. But what about the statistics suggesting that Korean viewers still watch TV on conventional sets for an average of 3 hours and 30 minutes per day? One media expert told me that it's a distortion stemming from the rapid aging in Korean society. Korean women in their early 20s - the favourite target consumer group for most advertisers - watch TV at home for less than an hour. But those in their 70s tend to watch TV in a fixed place for nearly six hours, which disproportionately boosts the average viewership. "It is a fact that Koreans in their 20s and 30s do not watch TV as often as they did in the past," he said. Another problem is the intensity of attention. People used to pay a high level of attention to their favourite TV programmes. These days, people do not really focus on the programmes on the small screen; instead, they check Facebook alerts and watch the "Top 10 Best Cat Videos of All Time!" with the YouTube app on their smartphones. Only when something truly interesting or shocking comes up on TV do they divert their attention to the programmes, before quickly turning back to their smartphone screens. The flip side of the phenomenon is that people are consuming a record amount of media content overall, when including digital outlets. But this is hardly encouraging, as the diversification of distribution channels and a plethora of digital devices make it more difficult and costly to keep consumers focused on a single TV programme or news article for a meaningful period of time. As digital distraction is affecting more people, attention is turning into one of the most coveted assets in the digital era. This is why Korean media firms are scrambling to overhaul their websites and present their content in an enticing interface. For all these efforts, however, the road ahead is filled with treacherous patches for Korean media. Unlike foreign media giants, local newspapers and broadcasters are still focused on the domestic market, whose potential for growth is fairly limited. 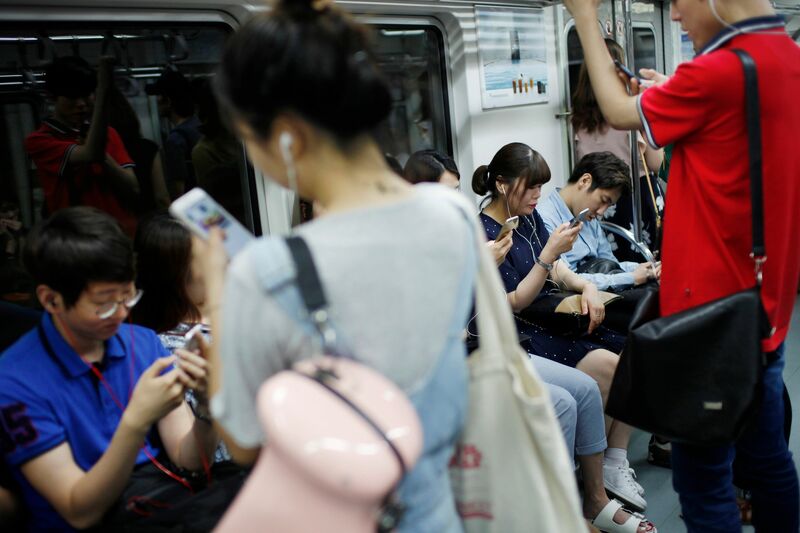 The July issue of Newspaper and Broadcasting, a media industry magazine published by the Korea Press Foundation, rightly pointed out that Korean media firms are yet to map out a global strategy to overcome the current crisis generated by the mobile revolution. Worse, people are unlikely to reverse their behaviour patterns. More couples will keep silent in cafes and restaurants when preoccupied with their smartphones, and more viewers will keep pretending to watch TV while browsing the Internet on tablet computers. Beijing and Asean need to strengthen cooperation to promote the initiative. As the top priority for China's peripheral diplomacy in the new era and the major region of activity for the Silk Road Economic Belt and the 21st Century Maritime Silk Road, Southeast Asia occupies a special place in China's "Belt and Road Initiative". But the initiative faces some challenges. The first is some countries' concern over the Belt and Road. Some people say the initiative smacks of neo-colonialism because they wrongly assume its purpose is to exploit energy and mineral resources in the region, which will harm the regional economies and the environment. There are also cultural concerns that Chinese investment might change the cultures and lifestyles of some countries. The major concern, however, is geopolitical. Some say the Belt and Road Initiative is akin to the "Marshall Plan" and "String of Pearls", and part of China's grand strategy to change the regional and global orders and seek hegemony. And as neighbours, the members of the Association of Southeast Asian Nations are concerned about China's strategic intentions. The second is investment risk. 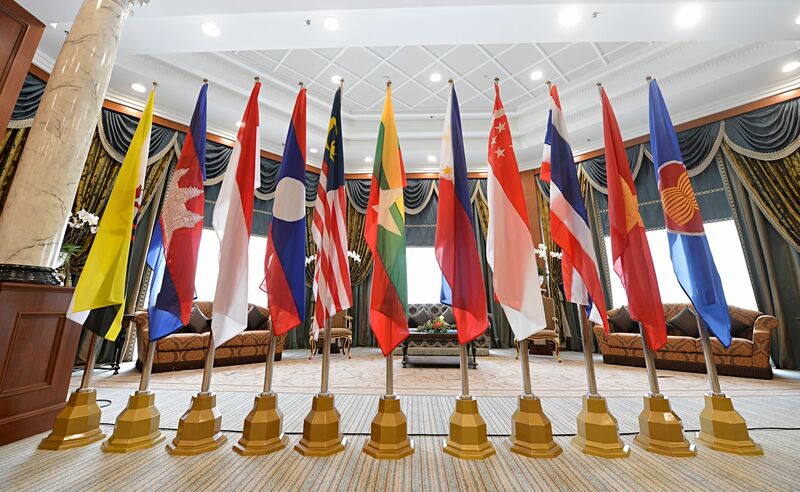 Some Asean members are undergoing transformation and even facing unrest at home , affecting their relations with China. This poses investment risks that could even end in failure. Typical examples include the abandonment of the "Rice for Train" treaty with Thailand, and the suspension of the Myitsone Dam project and interruption in the Kyaukpyu-Kunming railway project in Myanmar. On China's side, some enterprises do lack professionalism, with a few not having even the basic idea about the laws and customs of the countries they have invested in. The third challenge is big-power rivalry in the region. As the US pushes ahead with its rebalancing to Asia strategy, it has significantly strengthened its alliances and partnerships with some Southeast Asian countries, as well as consolidated its military presence in the region. The US has been holding military exercises with regional countries more frequently, involved itself in Myanmar's democratic transformation, signed a defence agreement with the Philippines, and relaxed the restrictions on exports of weapons to Vietnam. Washington has also got increasingly involved in the South China Sea disputes on the pretext of defending freedom of navigation but actually to internationalise the disputes and criticise Beijing's reclamation project on the Nansha islands. Japan and India, too, are taking a lot of interest in the region. Japan has deepened its defense cooperation with the Philippines through a defense agreement and military drills. And India has been closely cooperating with Vietnam on arms sales and exploration and exploitation of oil and gas in the South China Sea. External powers' involvement in the region has intensified tensions, which could be counterproductive for the Belt and Road Initiative. Given these challenges, China and Asean need to strengthen cooperation to promote the Belt and Road Initiative. First, the two sides should cooperate more closely on the security front to build mutual confidence. And to ease Asean members' suspicions and concerns, China should be more patient and frank with its security policy and take concrete measures to promote regional security. The two sides can also coordinate and cooperate on specific defense issues like strengthening military exchanges, and holding more joint training programs and drills. Second, the two sides need to strengthen economic cooperation. China, on its part, should pay special attention to Asean members' demands and needs, and take measures to integrate its economic strategies with them on the principle of "jointly built" in order to allay fears over China dominating the projects. Also, it is important for Chinese enterprises to learn about and observe local investment policies and rules, and ensure the projects serve the interests of the local people by, for instance, spreading education and creating jobs. Third, the South China Sea issue has to be properly handled. China and Asean can cooperate on maritime security under the "dual-track" approach. Maritime disputes can be negotiated through bilateral dialogues, while China and ASEAN can have multilateral maritime cooperation on issues such as resource development and protection, freedom of navigation, maritime research and rescue operations. This being the Year of China-Asean Maritime Cooperation, the two sides should seize the opportunity to develop the action plan for the 21st Century Maritime Silk Road. The author is with the National Defence University of the Chinese People's Liberation Army.